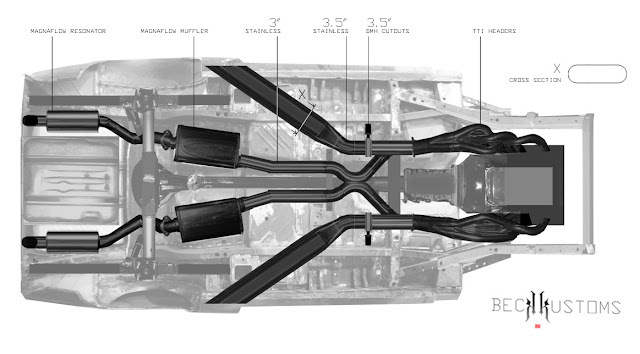 Here's a quick concept image of the exhaust for the car. This is my next job, and pretty much the last before I'm finished with the shell and can sandblast and paint it. I'll leave the electric cutouts and the side exit pipes till after the car is done. Better start practicing some stainless TIG welding!